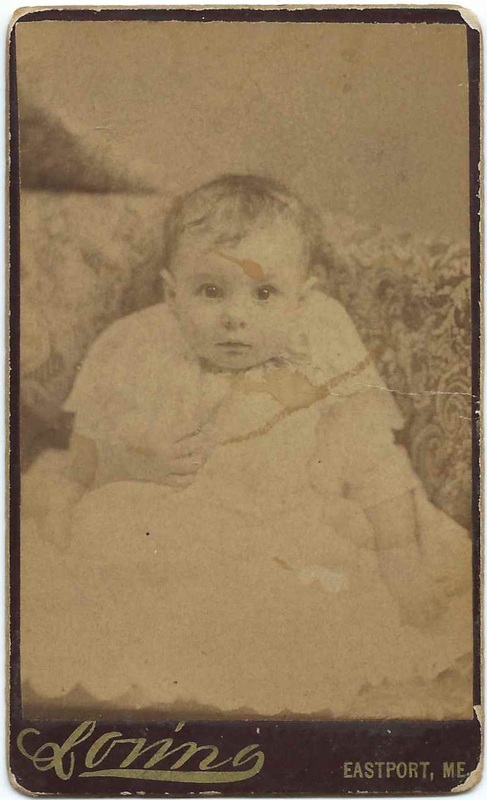 Carte de Visite of a baby identified on the reverse as Hattie L. Smith of Lord's Grove, Deer Island, New Brunswick. The photograph was taken by the Loring studio of Eastport, Maine, just across Passamaquoddy Bay from Deer Island. I'm not familiar with Lord's Grove, but there is a village called Lord's Cove on Deer Island. Hattie may have been the Hattie L. Smith born September 15, 1885, the daughter of Goldwin Henry Smith, Jr., and Dorothea Jane (Lambert) Smith, "Dora" or "Jennie". I lost track of Hattie after the 1901 Census of Canada. I didn't find a birth record for Hattie but the 1901 Census provides her birth date. 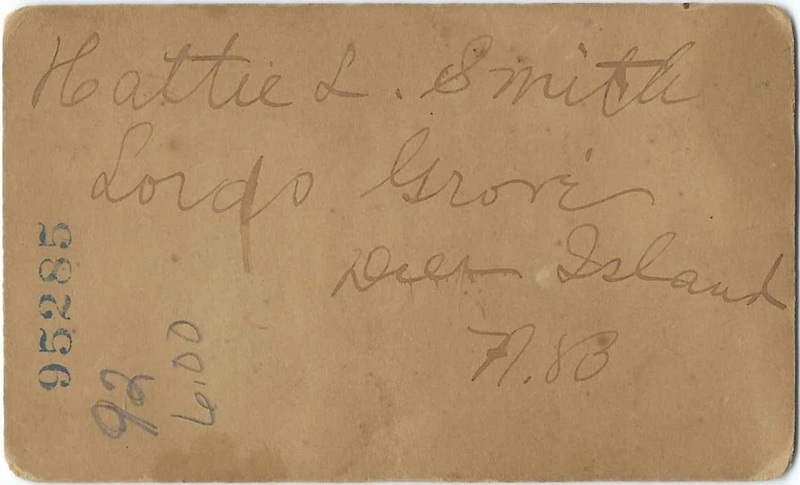 If you have corrections and/or additions to the information above, or if you have an alternative theory for the identity of the Hattie L. Smith in the photograph, please leave a comment or contact me directly.